Welcome 2018! Healthy Tips To Start Your Year! It’s a brand new year! A brand new start! Many resolutions will be made by people all across the world, hoping to begin this exciting New Year being the best they can be! January is a time to reflect on the past and plan for the future! One goal we should ALL have is to be as healthy as we can be. At www.DreamProducts.com we offer a variety of items, at reasonable prices, to help make everyday life easier and healthier. One example is our Magnetic Zipper Compression Socks. 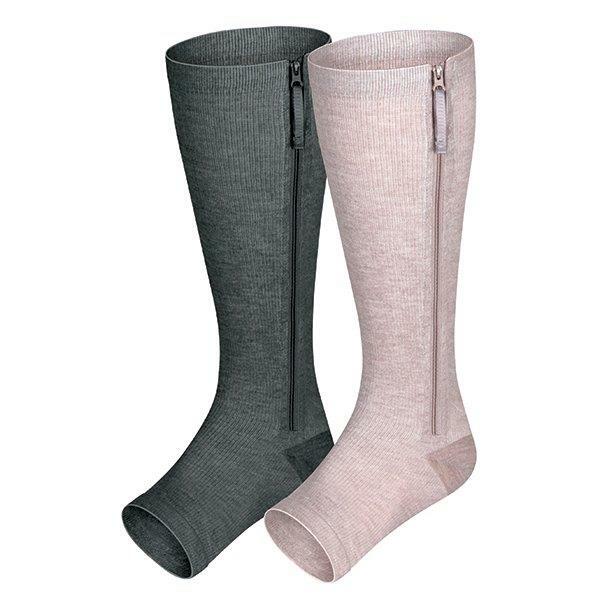 These super comfortable, zip up compression stockings offer powerful relief for sore, aching muscles, poor circulation, varicose veins and more! 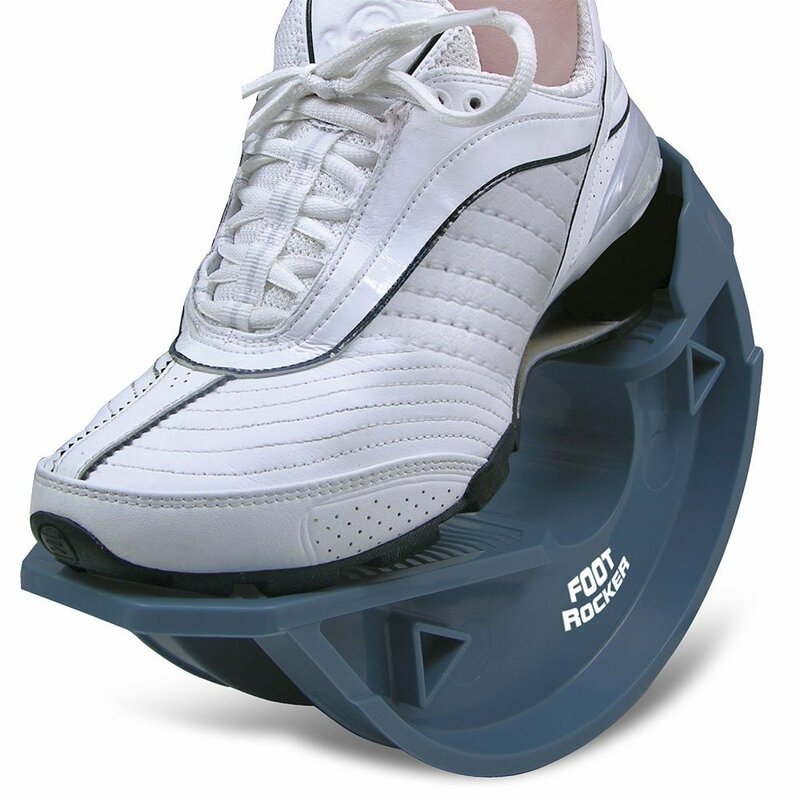 You may also want to try our Adjustable Swollen Feet Loafers. 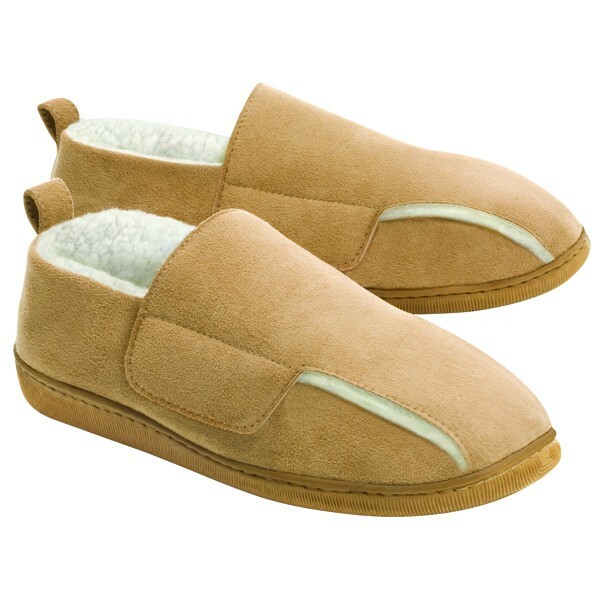 These incredibly comfortable slippers are orthopedically designed, with an adjustable one-touch closure that makes them a perfect fit every time. Even when your feet are swollen! Extra roomy style, Memory Foam Insoles and plush, soft lining provides comforting relief from edema, corns, sores and bunions, plus added warmth for poor circulation. January usually brings cold weather, which complicates things for people suffering from arthritis. 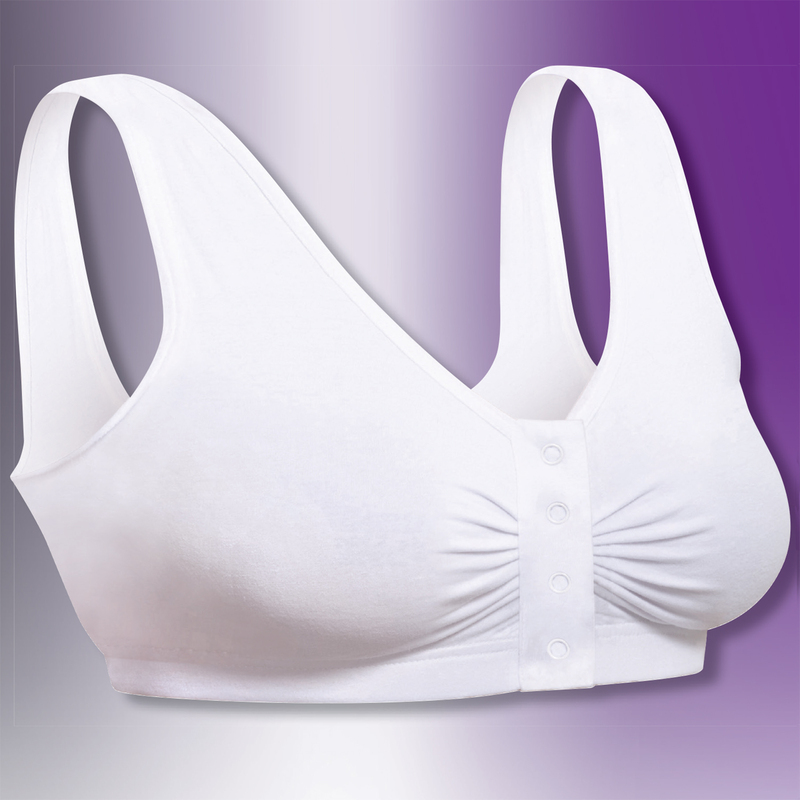 A perfect solution for women is our Snap Front Comfort Bra. Four easy snaps in the front make this bra so convenient and easy to put on and take off. Stretch cups fit A-DD. And it is so comfortable and easy on those arthritic hands. So as you move in to 2018, take some time to reflect on your life over the past year. What did you do well? CELEBRATE IT! What area of your life was not quite where you wanted it to be? CHANGE IT! We are all reflections of our own thoughts and actions. Take the time to make those thoughts and actions reflect how you wish the world to see you. We at Dream Products are here to help with a variety of items to lighten and brighten your day! We want to wish each and every one of you the Happiest of New Years! We hope that this New Year finds you healthy and happy and that it is the best year of your life – SO FAR! This week, May 10 – 16, 2015, is National Women’s Health Week. It’s a week dedicated to empowering women to make their health a top priority, and we couldn’t agree more! Women have many important roles in their families, at home, at work, in their relationships, and more. Improving and maintaining good health is not only something good to do for yourself, it’s also a gift for those in your life. Also this week on May 12th was National Women’s Checkup Day, prompting women to schedule their well-woman visit. In support of these important reminders, this week on our social media channels we’ve been sharing some helpful health items that are easy to use. We hope you find these useful in your regular health regimen every week of the year! For more health & fitness items, visit dreamproducts.com/diet-exercise. The month of November is National Diabetes Month. It’s a month of awareness and information around diabetes, its causes, prevention, symptoms, and care. 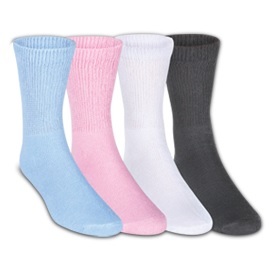 These socks are specially designed for those with sensitive, easily irritated skin or painful swelling. Super soft with smooth toe seam and non-binding top that help reduce foot pain, friction, blistering, and calluses. 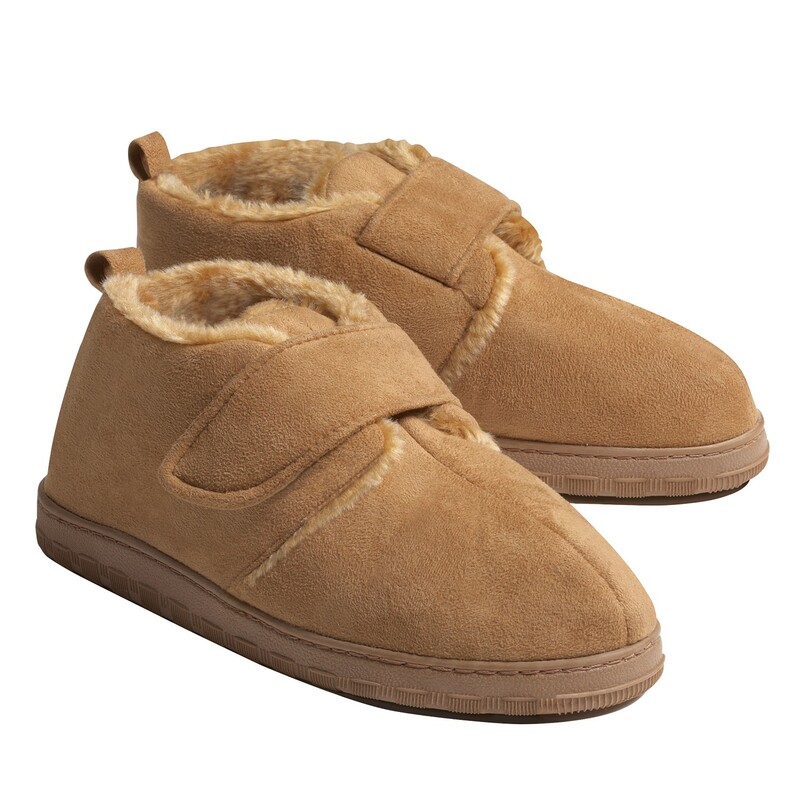 Plush and soft with adjustable hook and loop closure make these slippers easy to put on and take off. Can be worn indoors and outdoors. For more on these or other diabetic items, visit DreamProducts.com.